Does your city / area host a Restaurant Week? It’s a great way to visit new places or try out popular restaurants for a cool price of $35 (3-course dinner) or $22 (lunch)! Found an article about the history. Tuesday night, I met up with my friend (who just moved into the area), and walked over to The Wharf, the new, vibrant section in Southwest DC (only a few blocks away from the Waterfront metro station). 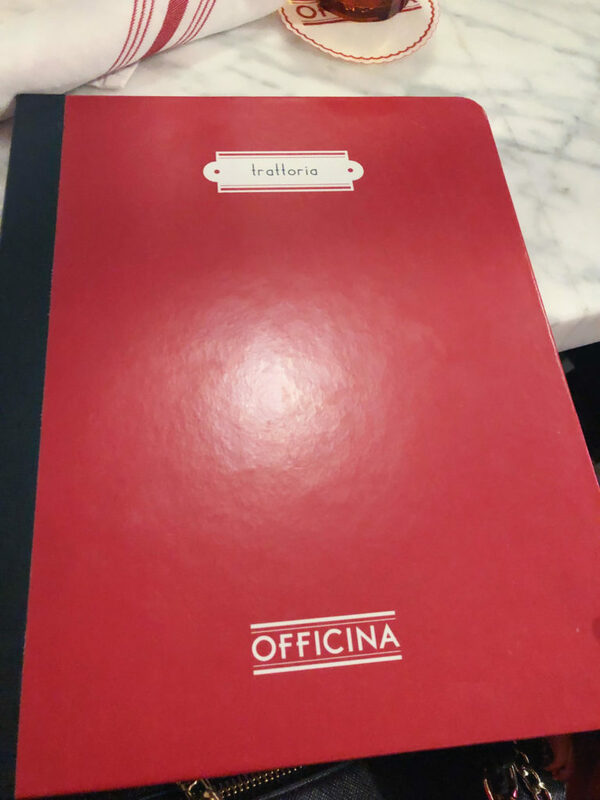 We didn’t have a set location to eat dinner and catch up, but we found out Officina was participating in DC Restaurant Week, so that’s where we ended up. According to its’ website, Officina is an Italian-inspired culinary collective. I liked the ambiance. By the time we left, it was full of patrons, visiting over dinner and drinks. Since we didn’t have a reservation, we sat in the cafe / bar section, which was fine.